There's a brief moment of overwhelm when starting a large project, but as soon as I remember my hobby motto, "No Hurry," I settle down. 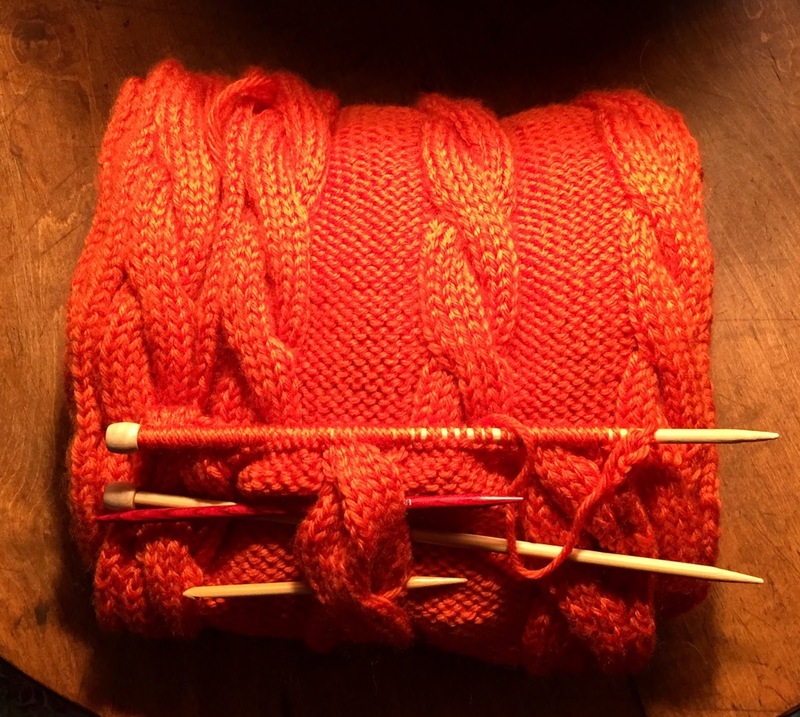 It's all about the knit and purl of it anyway, one stitch at a time. No deadlines, no money involved, just me, the knit and purl and a beautiful piece made at the end of a long off and on meditation. My Goddaughter picked out the yarn. Her colors are bold and the yarn is washable worsted weight wool blend, very easy on the hands and skin while knitting. These cables are based on ten stitches and ten rows and the afghan is built out of 60 stitch panels of each of the four colors. With any luck, this afghan will be about 54 inches by 60 inches, enough to cover two snuggly people.